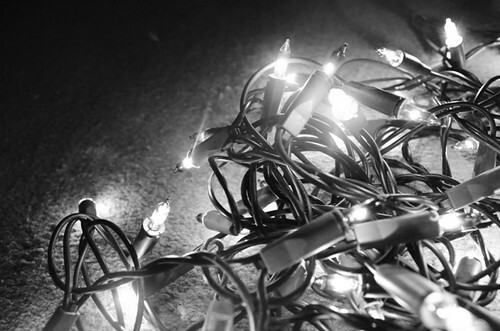 Coloured fairy lights in black and white, a photo by PhotoPuddle on Flickr. Whilst taking some photos of coloured fairy lights the other week I decided to switch the black and white setting on. I wanted to see whether I'd be able to take a photo of something very colourful in black and white and still make it seem very striking and interesting. I think I have achieved that, what do you reckon?